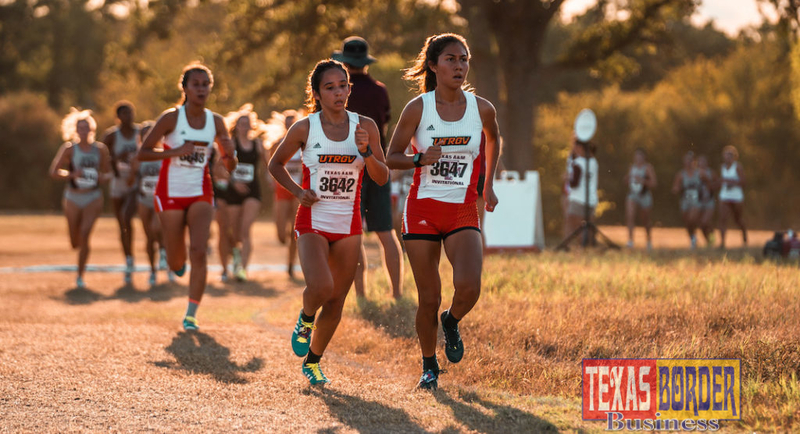 AUSTIN – Senior Los Fresnos alum Jennifer Zapata broke the program record for the 3,000-meter steeplechase to lead The University of Texas Rio Grande Valley (UTRGV) outdoor track & field teams at the 92nd annual Clyde Little Field Texas Relays on Thursday at Mike A. Myers Stadium. Zapata finished in a time of 10:49.23, breaking her own record of 10:53.18 set in 2017. Zapata was in 12th after two laps and 10th for the next three laps before moving up a spot during each of the final two laps to finish eighth out of 16. Her final lap time of 1:29.47 was the fourth best in the field. Senior Omer Almog finished 11th in Section A of the 1,500-meter run with a time of 4:01.85. UTRGV competes in 10 events on Friday starting at 9:35 a.m. with most events scheduled to be televised live on Longhorn Network. Women’s Shot Put (Section B), 10 a.m.
Men’s 400-Meter Hurdles, 5:40 p.m.
Men’s Distance Medley Relay, 6:05 p.m.
Women’s Discus (Section B), 10 a.m.
Women’s 4×800-Meter Relay, 10:40 a.m.